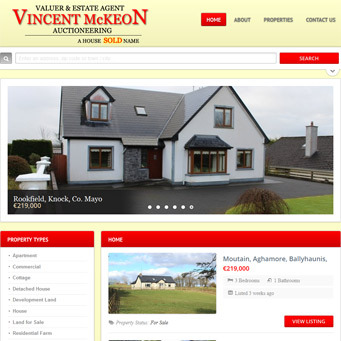 Vincent McKeon is an auctioneer and estate agent based in Kiltimagh, Co. Mayo. With business starting to climb back up again Vincent wanted a dynamic, modern looking website to advertise his properties. He needed to be able to update the site himself so WordPress was the ideal solution. The site is fully responsive and works just as well on mobile tablets as on desktop and laptop.